Lost your iPhone ? Want to track it ? As we all know iPhone's are one of the costliest phone and when it is stolen or lost. You can take it right ? You somehow wanted to track it and wanted to know who has stolen it. So in this post you will learn how to track my iphone 2016. 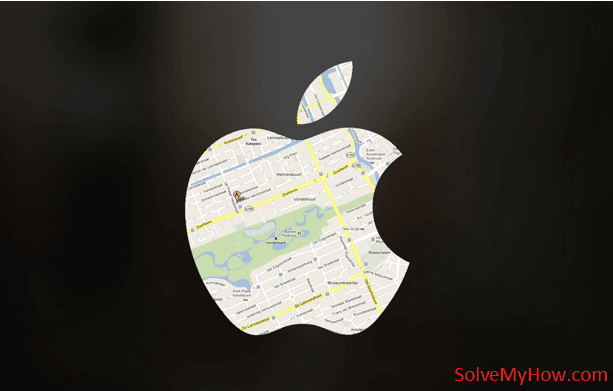 In this post I will show you the best ways to track my iPhone online. Losing phone is the most common thing we hear from today’s mobile user. Its mainly because of today’s stressful life, which sometime makes you even lost so lost of phone isn’t big deal and day by day increase in theft activities across the world is also one of the most common reason. But if you are an iPhone user and if you’ve lost your iPhone and want to track your iphone there is a way for it. 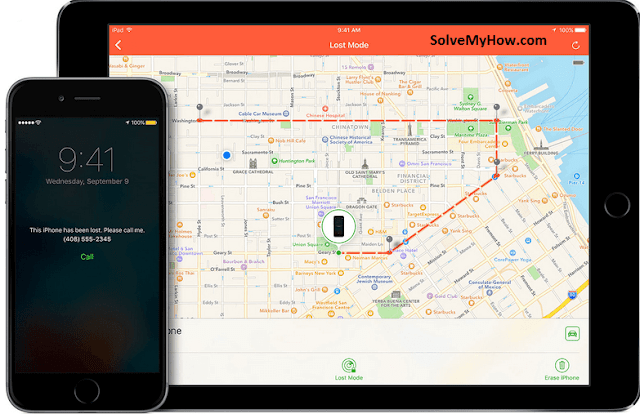 So if you really want to track your lost iPhone or want to wipe your data remotely then you are on the right track, below are the methods which can help to track your iPhone easily. I've categorize this post in 2 parts i.e Method 1 and Method 2 to track my iPhone. So lets start with method 1. Note : Below method is subjected to condition that if you have activated Find My iPhone/ iPad/ Mac, when you set-up your device otherwise this method won’t work. If you haven’t activated it, you need to install ‘Find My iPhone’ app on your device. This is the per-requisite to track my iPhone online easily. 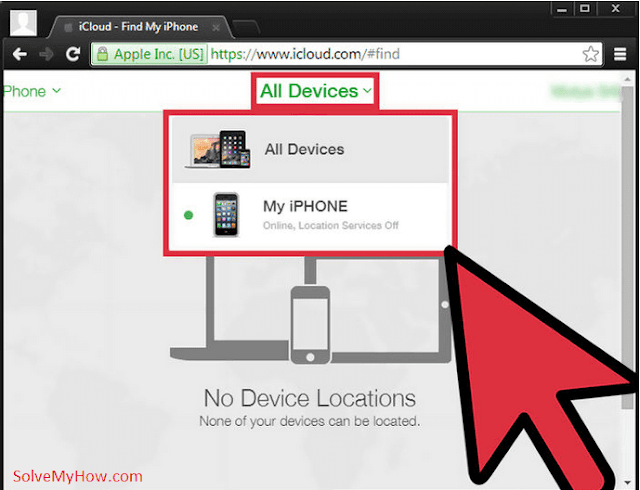 However its not mandatory to download Find My iPhone App on any iPhone device. 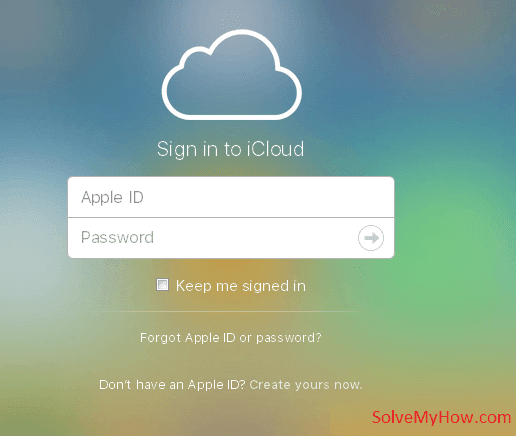 Because its just an app to remotely access your iCloud services from any devices and browser in an easy way and also to locate your missing iPhone. So if you own another apple devices at home you can install Find My iPhone App to track your Apple Devices from that only or if not than only thing you need is a browser and your Apple Id login details. And one more thing don’t worry about the thing if someone could try to 'disconnect your iPhone from iCloud services', or turn off ‘Find My iPhone’ or even ‘erase your device’. Because if you’re on the iOS 7 or above version of OS, a feature called ‘Activation Lock’ will prevent them from happening any of the above mention things without your ID-password. Note: It is mandatory that your device should be On and connected to Internet. Step 3 : After that you will be ask about to choose from your devices that you want to track, all the device that are under your registered Id will be mention. You will be given the option to display the message of your choice along with the contact number which you can mention. So if there is anyone left on the good God’s Earth who has a nice soul can call you up and get your phone back to you. This is mandatory since you can’t locate your phone if location services aren’t on. So don’t worry if you haven’t turned it On, it will stay On after this until your device is in Lost Mode or till it gets Un-locked. So this was all about how to Track Your Apple Devices by just using simple service of Apple called ‘iCloud’. Please keep in mind that your Lost Device needs to be on Switched-ON mode and somehow connected to internet. If the device doesn’t fulfill any of the above mention points then you will not find your lost iPhone using ‘Find My iPhone’. So only option that is left to is to wait if the lost phone somehow connects to internet or somehow police find out where your phone is. And you don’t need to wait on the iCloud just to refresh again and again and look if your device is found or not because Apple byself will notify you if the device is back Online, So that you don’t worry if you missed something. There is also another method to track down your lost iPhone/ iPad/ Mac, which is under condition that if you use any Google product on your iPhone. You are probably aware that Google likes to gather information about you so that it can you best possible result although by this your privacy can be at risk by this but also can be helpful if you’ve lost your iPhone. Yes Google not only takes all your personal data but also helps you needed that the most. Google helps you to use that data in quite good looking interface. But by this you may not find your exact location of your phone but surely you can get idea of location of where it was lost by the time or where it was last seen, when it was connected to internet and was in use by you, by seeing it in Google data sended by Google Timeline. But you can’t be exactly sure because you don’t know when was your data last sent on Google serves. So all you can do is try. Step 2 : Select the date, You can select today’s date by just clicking Today’s date option. Step 3 : Look at the full timeline and scroll upto the last to find the last reported location of your lost iPhone. You can also view all the recorded points in the map to make sure that if there is any other location where you might have lost your phone and being carried by someone else. 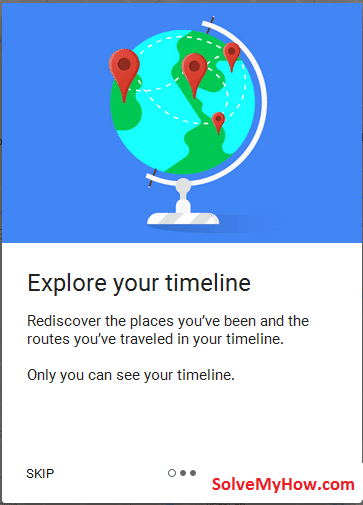 Step 4 : Make sure to see not only location but also the time during which phone was connected last. Step 5 : Before you ran off to get it, try to make use of location data to figure out that if the phone is moving or just simply lying somewhere just waiting for you. Step 6 : And if its moving I’d like to suggest to take help from legal authorities to help you in this matter. Because you can’t be sure of anything in this world and who know who on this good God’s Earth has taken your iPhone and we know how thieves of today’s are like. 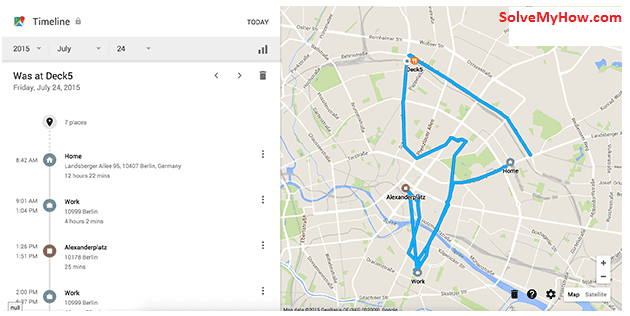 So this was method 2 i.e track my iPhone using google location history. Now lets see some FAQ's. Questions are basic parts of learning. The more the questions you ask, the more you learn. Questions shows the sign that you are on your way of learning and also on the way to ‘Solving Your Hows’ and out website name and motto is all about that only- ‘SolveMyHow’- a place to get solutions of your technical how’s. So lets see some FAQS. 1) Can I track my iPhone if it’s switch off, is in airplane mode or not connected to the internet ? Well you won’t be able to trace it down if it is not even connected to internet, so only thing that you can do, If your missing device is off or offline, you can put it in Lost Mode, lock it, or remotely erase it. The next time your device is online, these actions will automatically take effect. If you remove the device from your account while it's offline, any pending actions for the device will be cancelled. 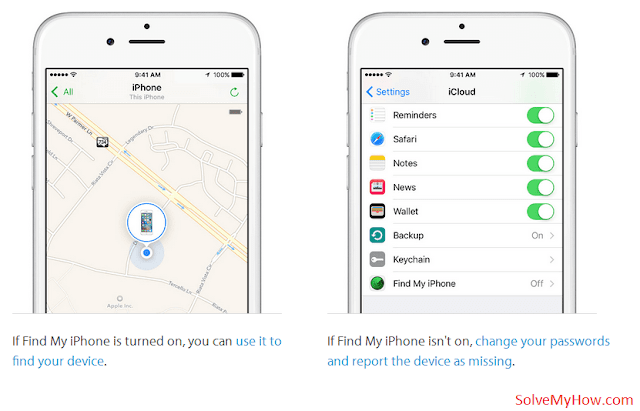 2) Is it possible to find my iPhone if someone turns off the location service ? Luckily, even if someone who has stolen your iPhone has turn off your location services. You can still locate your iPhone. With Find My iPhone app you can activate the “lost mode” feature. So this mode will activates location services of your iPhone remotely and immediately tries to trace your iPhone. 3) Can I still locate my iPhone, If I erased my iPhone ? I guess you don’t want to listen this answer but unfortunately the answer is NO ! You can’t locate your iPhone or iPad once you erased it. So these were the some FAQ’s which is asked very frequently by the people about tracing the iPhone. So this was all about track my iphone : how to track and find your lost iphone or ipad. I hope you found this post useful and interesting. Do let me know if you are having any problem in tracking down your iPhone in the comments below. I would love to solve your doubts. You can also subscribe for SolveMyHow newsletter to get latest updates about iPhone, iPad and iOS high quality tutorials right into your inbox.